So, I’m 31. I’ve been wearing mascara for well over 16 years and I’ve tried them all! I, for one reason or another, always find my way back to L’Oreal Voluminous in Carbon Black. Seriously the best. While I was doing my grocery shopping this week I found this little sidekick, L’Oreal Voluminous Primer. Not only does it amplify your lashes, but it conditions them too! 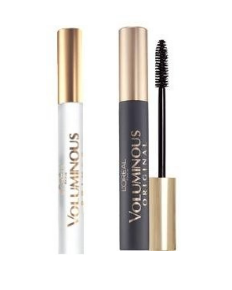 I love how full and long my lashes look when I use this primer/mascara combo! We’re busy, busy planning my son’s birthday party around here. He will be 4 tomorrow and all he wants is a Football birthday! We’ve asked all our guests to come in their favorite football team gear, so naturally I started shopping for the cutest collegiate wear I could find! Meet Livy Lu… the best, on trend collegiate tops for both women and kids! Love, love, love! 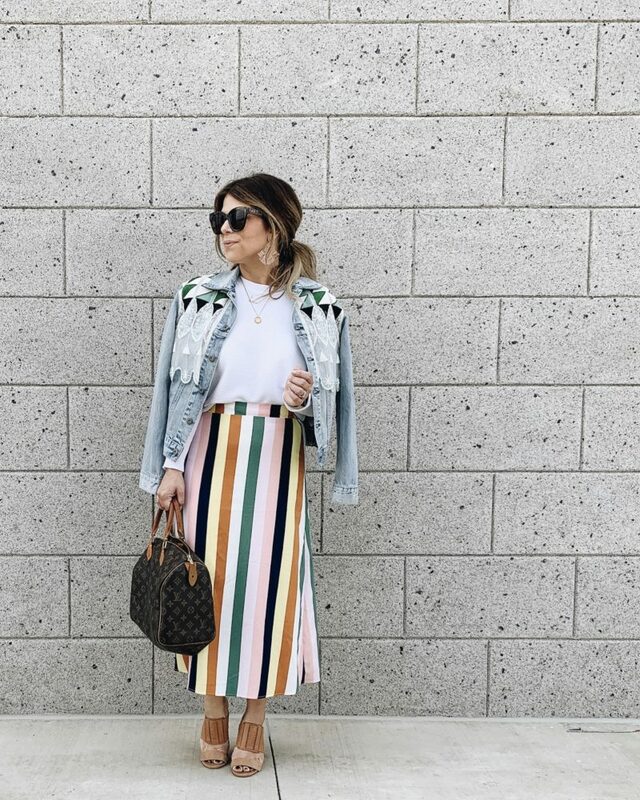 In early September, Stella & Dot launched their luxury capsule, COVET. Conflict free diamonds, 14kt gold, gorgeous leather bags. So much greatness that I had to include it in my Friday Favorites! 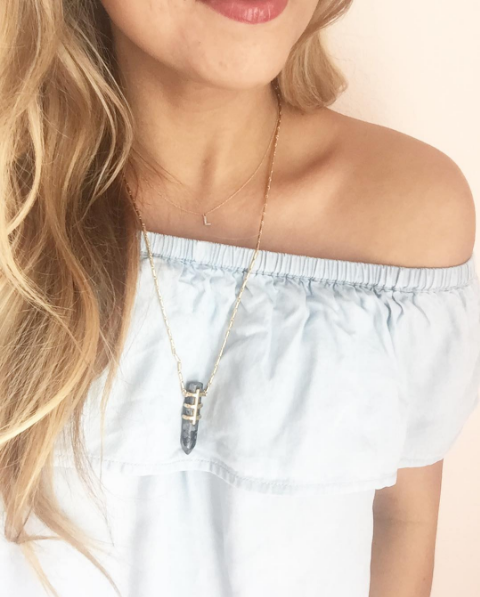 I love how delicate and precious this initial necklace is, it hasn’t left my neck since it arrived at my doorstep! I hope y’all enjoyed my first installment of Friday Favorites!! Enjoy your weekend! Hi! I'm Lindsey Meek. Wife, Mom, and Personal Stylist. Lover of all things pretty with a BIG heart for Styling. My goal is to share easy, relatable style that anyone can achieve. I'm so happy you're here!